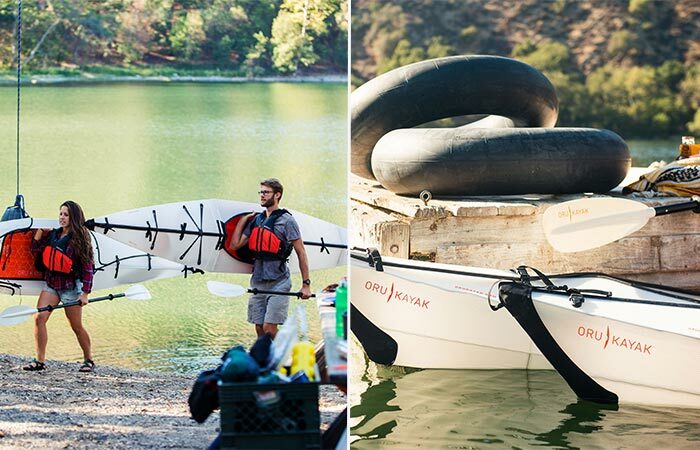 When the original Oru Kayak was first introduced, the idea got a huge support on Kickstarter. Just like it usually happens, with time and customer feedback new additions are incorporated into the initial design. 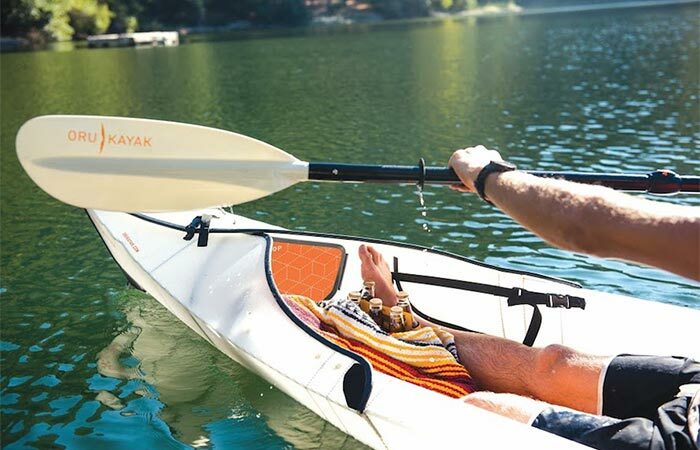 The company launched Oru Beach Kayak, an upgraded version that folds just like the original kayak. For those unfamiliar with it, Oru Kayak is a portable and foldable kayak, inspired by the traditional Japanese art of origami. Oru Beach is very compact, weighs just 26 pounds and has a weight capacity of 300 pounds. Just like Oru Bay +, when assembled, this kayak has 12 feet in length, 25 inches in width and a cockpit size of 16 x 30 inches. Oru Beach Kayak is a new, improved version of the original Oru Kayak. The founder of Oru Kayak noticed that “In the last few years, customers have requested a more stable, casual usage kayak”. To satisfy their needs, Oru Beach is designed to be accessible. 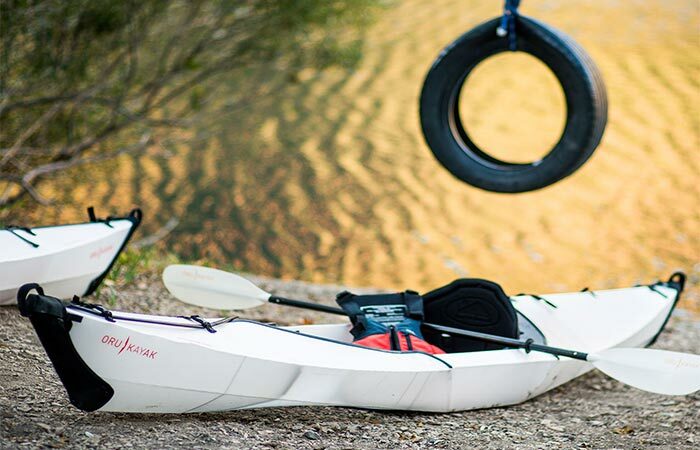 It takes just three minutes to set it up, which is quicker than any other Oru Kayak model. Besides the ultra fast assembly, this kayak has a large cockpit that is easy to enter and exit. The cockpit has enough room to store a backpack and allows you to take your kid or pet for a ride. Oru Beach Kayak has a large cockpit and fully-adjustable foam seat. One of the best and most successful feature of Oru Bay +, a fully-adjustable foam seat can be found in Oru Beach as well. The seat provides an extra comfortable backrest and there’s an easy-to-adjust footrest. Like other Oru Kayak models, Oru Beach is very stable and durable. The user-friendly design also features a lightweight hull for easy paddling and two sets of carrying handles for maneuvering on land. The Oru Beach is available for pre-order and shipping will start from May 1st. Oru Beach Kayak weighs 26 pounds and can be set in just three minutes.